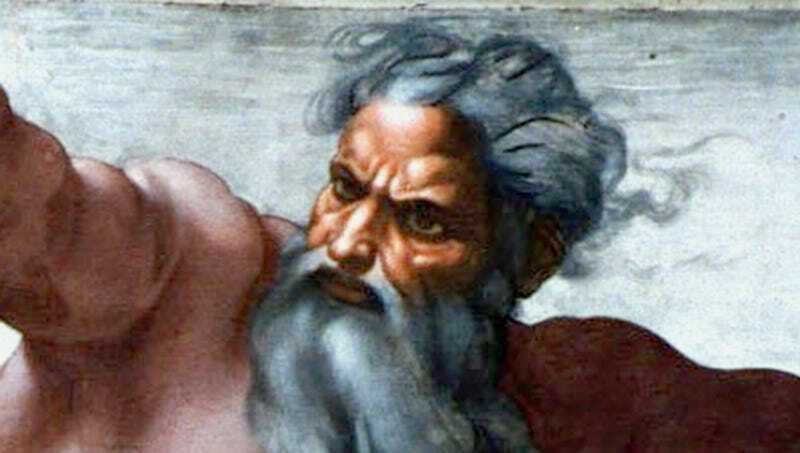 HEAVEN—Expressing His regret over the damage wrought by the divine substance, Supreme Being and Creator of All Things God admitted Wednesday that He could probably have devised a better way to give humans a taste of heavenly bliss than opioids. “I just wanted man to have a preview of how awesome the afterlife will be—just the briefest glimpse, mind you—but it seems as if I once again gave them an inch and they took a mile,” said the ruler of all the universe in a rare admission of His ill-considered, if well-intentioned, contribution to the crisis-level prescription pain reliever abuse currently afflicting the United States. “It’s the whole knowledge-of-good-and-evil thing all over again, isn’t it? Except this time, I probably should have made, say, oranges feel this amazing instead of picking a physically debilitating and addictive substance.” The Lord also expressed misgivings about interweaving the ineffable fragrance of heaven with that of spray paint fumes.